Many Christians long to sense God's presence in their everyday lives but don't know how. 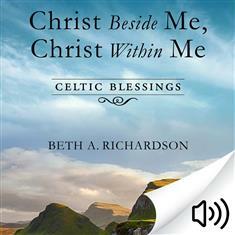 Inspired by the ancient form of prayer practiced by the Celtic people, Beth Richardson offers a multitude of short prayers—blessings—that embrace every aspect of daily life. A sense of joy about ordinary moments of the day pervades this book. Many of the blessings came to Richardson during one of her daily activities—walking her dogs. As she welcomed the day, she thought about celebrations, challenges, and other situations people she loved were facing. The result is a lovely collection of prayers that recognize God's presence in each moment, from waking to sleeping, from birth to death. The blessings will help readers acknowledge the richness of the gifts of life; express their feelings about special moments such as births, marriages, and graduations; offer words to pray during times of struggle; and give them a way to pray for the world and all its people.